Okay, who has the pincushion. It was sitting next to the sofa on my sewing basket and now it’s gone. Again. 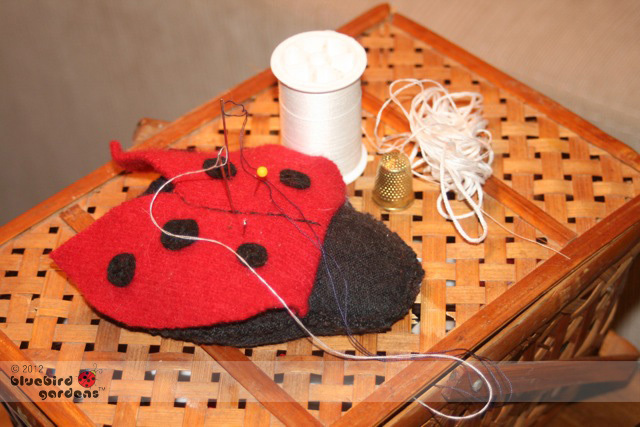 You can’t miss it – about 5 inches oval, made out of a re-purposed sweater turned into felt and shaped into a ladybug.